Acupuncture involves the use of thin filiform (solid) needles to stimulate Acupuncture points that lie along the meridians of the body. An ancient technique that has been practiced for thousands of years, Acupuncture can be used to treat just about anything. Yep, not just pain, but anything from diarrhea, infertility, and chronic headaches to shoulder pain, stress, and the common cold. In Traditional Chinese Medicine physiology, there is a lot of talk about Qi; usually translated as “energy” or “life force”. Qi is said to flow inside meridians that course every inch of the body. When Qi gets “blocked” or stops flowing properly, illness results. Instead of thinking of Qi as a life force energy, some scholars believe that a better translation for the word Qi is “air” or “the essence of air”. Perhaps ancient Chinese physicians were talking about the free flow of oxygen in our body, rather than an ethereal energy. Defining Qi in this way helps us understand the benefits of Acupuncture through the lense of modern physiology much better. Regardless of how you decide to translate Qi, the end goal with any Acupuncture treatment is to remove obstruction, allow for the free flow of Qi and blood in the body, and to create and maintain balance. Acupuncture guides the body and initiates movement towards this balanced state of being. Homeostasis refers to the tendency of the body to always be seeking balance. A good general example of this is the body’s ability to maintain an internal temperature around 98.6 degrees. Imbalance is an element of every disease. Acupuncture stimulates the body’s built-in healing mechanisms. Acupuncture reduces both the intensity and perception of chronic pain. Supplementary herbal medicine can be essential to correcting certain health conditions. Along with proper nutrition, herbs can help correct a problem from the inside, out. Herbal medicine is natural, safe, and very rarely induces side effects. Traditionally, raw herbs were cooked into teas and taken multiple times per day, but today we have many options for how we take our herbs. The most important aspect of herbal medicine, is that you actually take them! For this reason, most herbs I prescribe are in the form of pressed tablets. These tablets are convenient to carry with you and take throughout the day. Made from herbal teas, dried and pressed into concentrated tablets, these tiny herbal medicinals are potent and very effective! Cupping is a method of treating disease by creating local, temporary congestion. 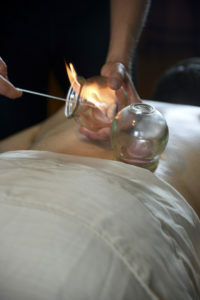 A glass cup and fire are used to create a partial vacuum over an area of the body. This draws up the underlying tissue, drawing blood to the area and creating space between muscle and fascia. Some people describe the sensation of cupping as being similar to a deep tissue massage. Relaxing and warming, cupping is most often used for musculoskeletal conditions, abdominal pain, menstrual pain, indigestion, common cold, and cough. GuaSha is a manual technique in which a smooth edged tool is used to “scrape” different body regions. It is most often used for musculoskeletal conditions involving pain and tightness. Using this scraping method, we are able to remove adhesions in tissue, relax muscles, increase blood flow, reduce inflammation, and improve flexibility. While it can look and sound a little intimidating, most of my patients enjoy GuaSha and love the results they get from it! *Call to schedule your 90 minute new patient exam. Follow ups are offered in 25 min, 45 min, 55 min, 80 min, and 110 min sessions. 25 and 40 minute follow-up treatments are for Acupuncture only, where as longer sessions may include massage and other treatment modalities. Still wondering if Traditional Chinese Medicine is right for you? Call to schedule your FREE 30 minute acupuncture consultation with Brooke today. Dry needling is a term used to describe using acupuncture needles strategically at trigger points or tender points in muscle and fascia. It is referred to as “dry” because the needles used in this treatment are solid, and do not contain any injectable solution, unlike hypodermic needles used for something such as a flu shot. Dry needling is used in the treatment of pain and musculoskeletal disorders, and often pairs well with other manual techniques such as massage, cupping, and guasha, to relax muscles and fascia and relieve pain. Dry needling can be used to treat conditions such as headache, neck pain, back pain, sore muscles, tight muscles, and much more! 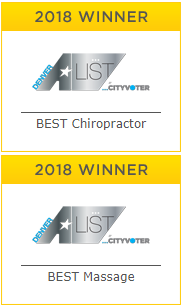 Check out the “Massage + Dry Needling” sessions offered, where we use a combination of massage, dry needling, cupping, and/or guasha to address your pain and get you back to feeling your best! Available in 55min, 80min, and 105min sessions.